A Medium Shag Haircut is an amazing way of wearing the tresses in the most stylish and classy manner. 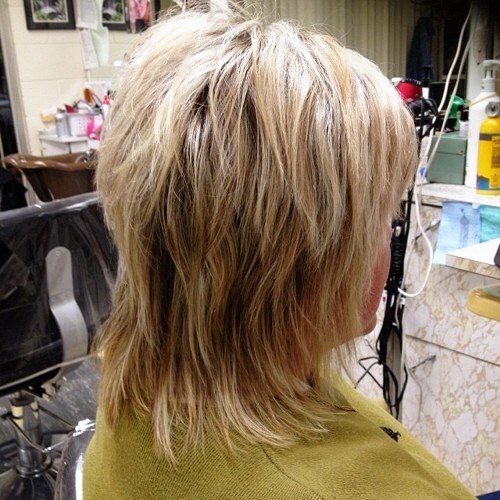 Shaggy cut consists of various layer lengths and was first introduced by Paul McGregor. Since then, a number of celebrities including Jane Fonda, David Cassidy, and Meg Ryan popularized it. 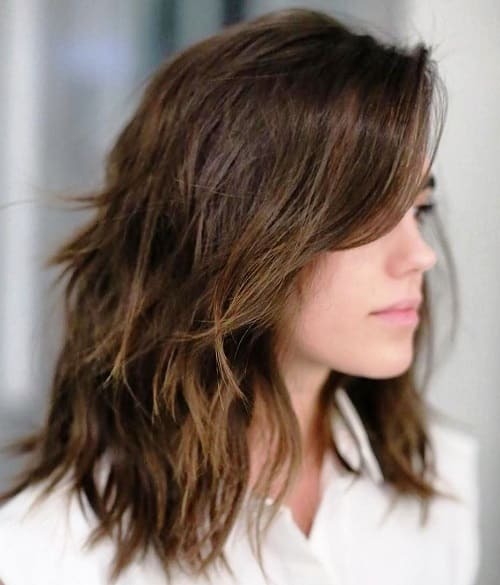 The medium length hair is no doubt considered as one of the most practically manageable hair since ages and termed as the “timeless classic hair length”. The addition of shaggy style further enhances the style statement of the woman owning it. Such haircuts not only require less time but also less hair care products to keep the tresses in a good shape. Moreover, they give an elegant solution to get rid of split ends and unhealthy broken hair tips. Do you remember the Rachel Hairstyle of Jennifer Anitson, one of the most popular haircut of all time? That was a medium shaggy cut. Since then, it has been transformed into various chic and alluring shapes as mentioned in the upcoming gallery. These haircuts look perfect for every hair type. They build volume in thin and fine hair, help to settle frizz in curly hair, and add movement in thick hair. So, have a quick look at the latest Medium Shag Hairstyles presented below. Hence, it’s time to surprise the good old look of yours with a classy and modern quirk! The heartwarming chestnut hair dye has been just a perfect canvas for your medium length shag. The brown color will add the necessary dimension to your haircut and will prevent it from being too dull or uniform. Whereas, the layers will provide enough room for styling, versatility and unpredictable movement. Multiple layers are adorable for Medium Shag Hairstyles. 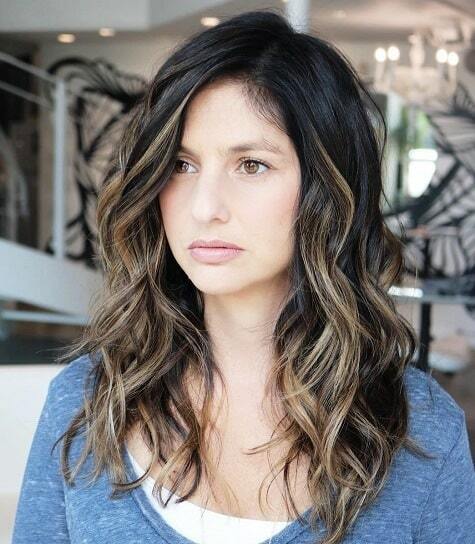 To get this fun style and sassy look, use a curling iron with large barrels to incorporate waves. 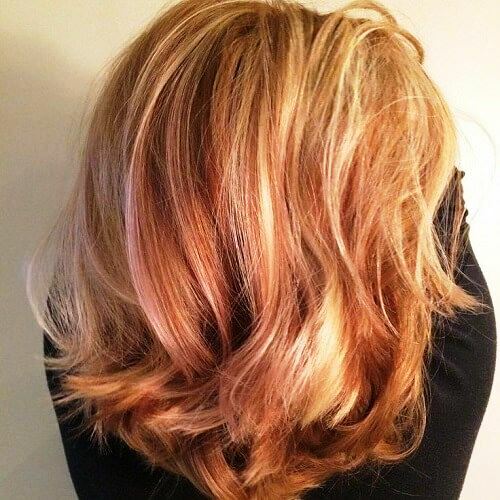 If your hair color is dark, add some light highlights to introduce a lightened image. In order to pop up the finished look, consider adding a fun color. The main secret and attraction of this modern Medium Shag Haircut is pronounced layers giving jagged edges. The haircut is further upgraded with Downlights and highlights. The back tresses are flipped-out, whereas the front strands are flipped inwards to bring out the style well. 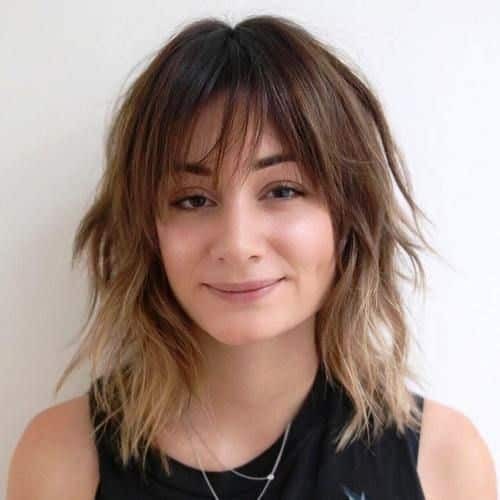 Medium Shag Haircut with thinned longer ends and higher layers on the top side may seem a bit too weird at first sight. However, if cropped by an expert stylist, it can easily take off the weight of your thick strands. Don’t you dare to try it at home. Instead, get a salon appointment to get a perfect retro look of this one of the most chic Shaggy Hairstyles for Thick Hair. This amazing Medium Shag Haircut is able to boost up the inimitable texture of your envious thick hair. The auburn highlights further enhance the look. One of the current trends of shag is to get it neat, silky, and getting edgier towards the hair ends. 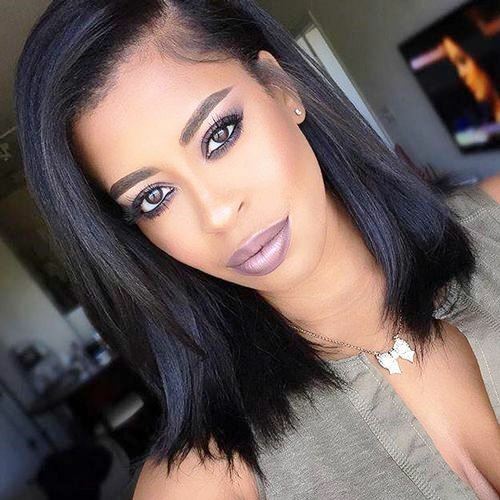 For ladies with oblong faces who need to build volume around the sides of the face, center parted Medium Shag Hairstyles are nice options in this regard. 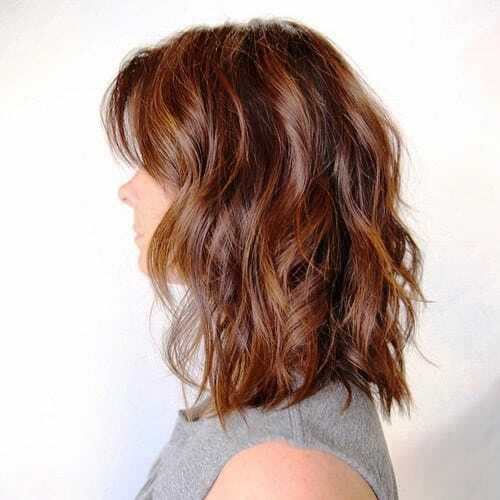 This brunette shaggy cut offers incredible movement and eases the everyday styling. In very less time, you can get an OLALA look! A Medium Shag Haircut can be upgraded instantly with subtle baby-lights. 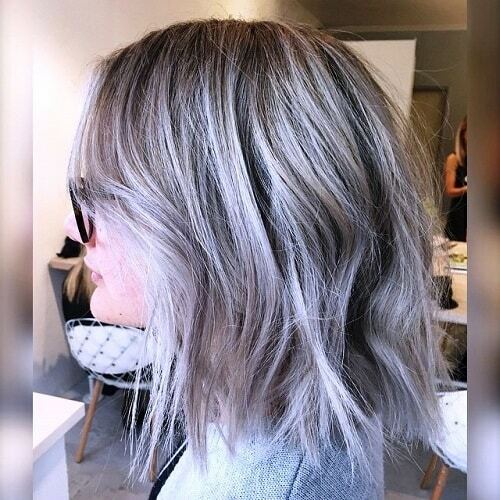 A fine dye technique adds such subtle, decent highlights to impart the illusion of thickness. The purpose is to create an adorable, sun-kissed look which will never go unnoticed. 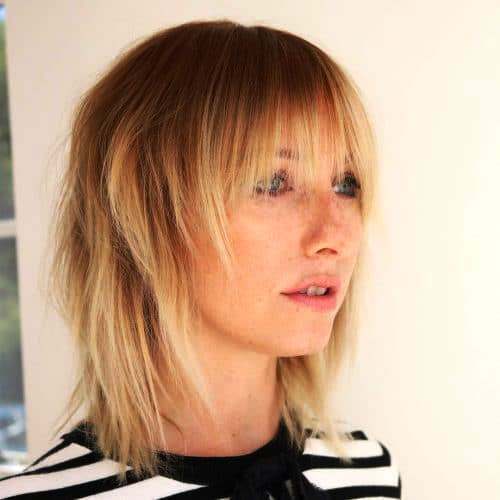 If you have managed to have a mid-length shag, then consider trying out an effortless and a bit messy style this season. One can get this look by curling the tresses in small sections by using a fine curling iron. Furthermore, for volume enhancement use fingers to back-comb through the length of curls. And finally, apply a texture gel or paste to give the final touch. Medium Shag Hairstyles may appear feathery and soft on thin, fine hair. You can easily develop the thickness and depth illusion by introducing some bangs. These bangs not only just frame your face, but also will accentuate the facial features. Finally, to accomplish a mild look opt a soft and heartwarming hue. Because of elongating effect, this becomes an elegant Shaggy Hairstyle for Round Face. 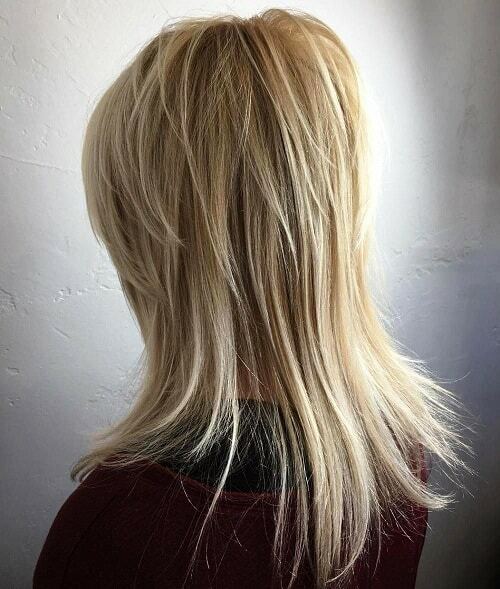 One can add tons of movement by introducing layered blonde highlights in classic Medium Shag Haircut. This look goes well with thin and fine textured strands, as thick tresses may appear bulky because of heavy layers. Additionally, add some waves with an iron rod to get a chic and sassy aesthetic. 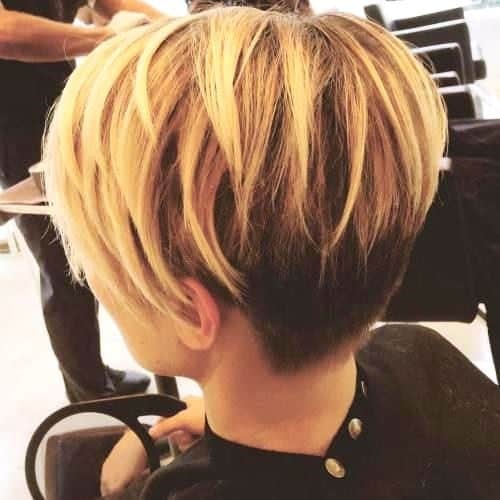 This haircut is a blend of both medium length and short hair, which makes the hair to flow freely and erratically at all angles. The texture of this hairdo looks too sassy on slender faces having petite features. Moreover, the silver hue gives it a graceful final touch which is too classy to show off. Striking and vibrant, a platinum hue makes a modern Medium Shag Haircut incredibly sassy. Because of Hollywood celebrities such as Taylor Swift, Kim Kardashian, and Jennifer Lawrence, this look has been hitting the style charts and the fashion world. Thus, all you require is to have an extra dose of confidence to bang! A Medium Shag Haircut is perfect for ladies with mid-textured hair type. If you are looking for some unique hairstyle ideas, then why not give swoopy layers a try? As well as imparting an instant dimension and volume, these swoopy layers add a striking twist in the traditional shaggy cut. 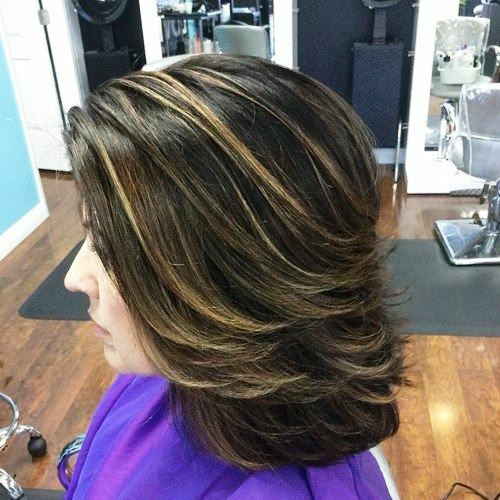 Brown and shoulder length hair can be made to look more interesting with the caramel color highlights and razored layers. These thin strands will help you to step up hair game by bringing a fun prism like effect. 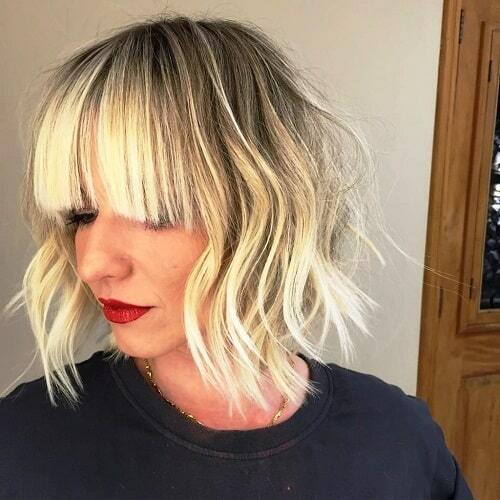 Embrace a quirky and cool choppy bob with the waves and bangs for an amazing take on the traditional Medium Shag Haircut. To style it a fun way, introduce Beachy waves which will show off the chunky layers very well. 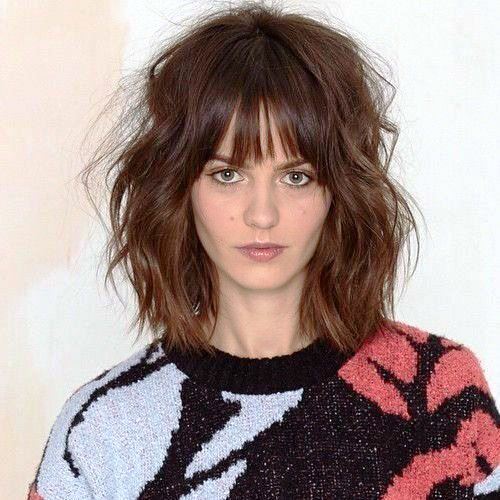 Moreover, use a salt spray to generate a great visual effect in your dry hair with these Shaggy Bob Haircuts. 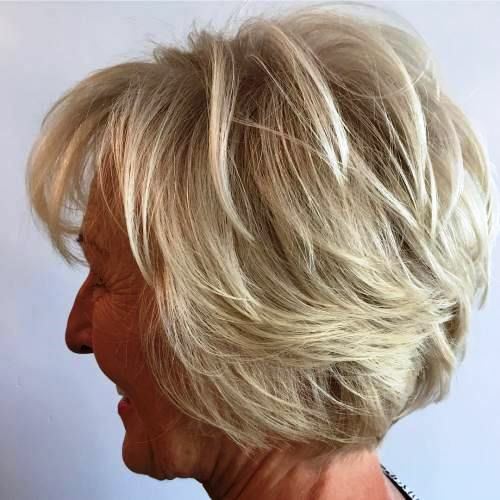 If you are looking for Shaggy Hairstyles for Fine Hair over 50, this cut is a must try. Fine hair usually lacks movement and body. 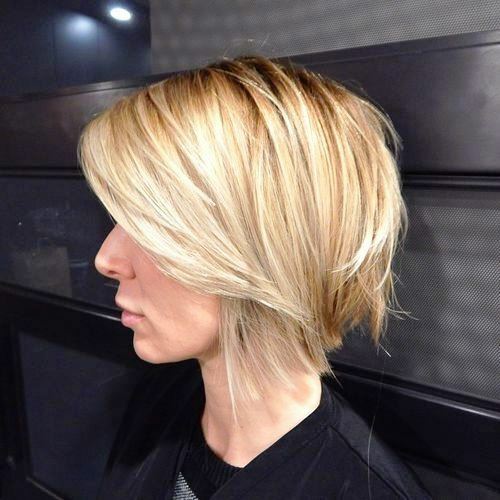 This haircut combats this issue by introducing alluring layers in order to create the voluminous illusion. Another way of pronouncing the image is to opt a suitable dye. A bit darker tone at the hair roots makes strands appear thicker. A traditional choppy lob is instantly upgraded with this two toned effect. Whether you select to get it styled wavy or straight, you can generate an adorable texture. 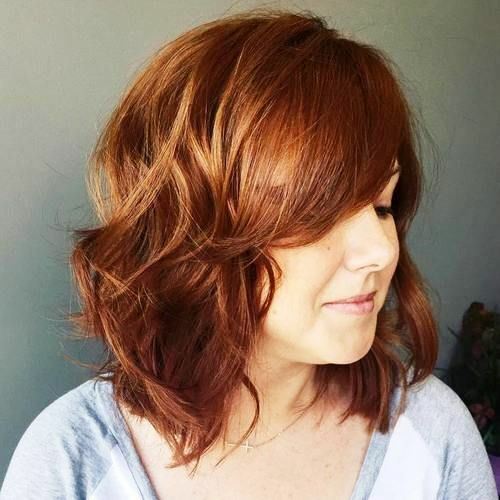 This Medium Shag Haircut shows off the chunky layers by adding a voluminous powder to the hair roots. Medium Shag Hairstyles are distinctive and funky when they graze the shoulder and also flare out. By applying a bit of good quality hair product, one can enhance the spiky layer appearance. Also, tousle the locks to get an incredibly fashionable and edgy look. The 90’s haircuts are all ready to come back in some striking ways. Choosing straight, full locks may appear as a 90’s throwback, but no doubt it’s worth experiencing with this modification. Keep the strands till the shoulder length to play with the texture. Plus, incorporate sharp layers to get a modern look. This is an absolutely cool take on old Medium Shag Haircut. 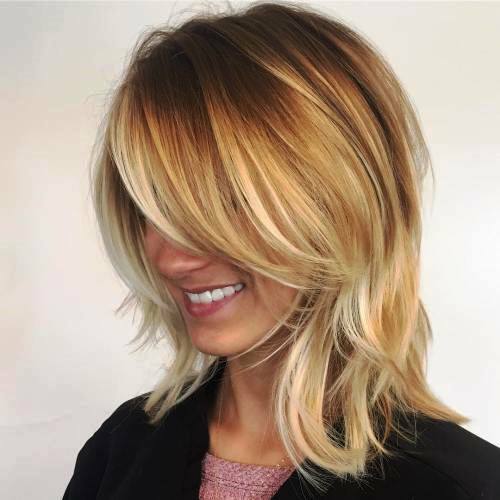 To get a more polished image of your Medium Shag Haircut, try an instant blowout with the maximum lift possible at the swoopy layers and at the roots. 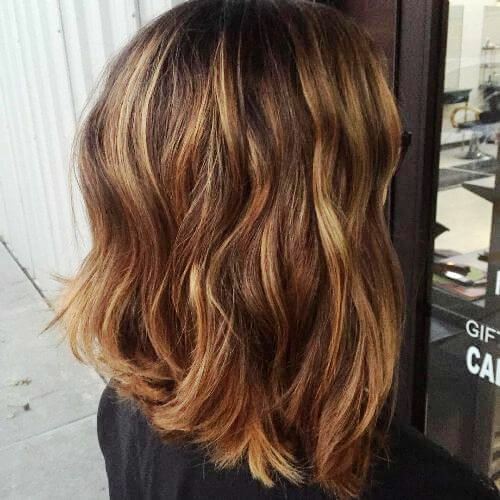 Balayage color dye will make you look unavoidable and irresistible. The razor technique is just outstanding to develop motion and to remove weight from your strands. Ask your salon attendant to incorporate razoring technique around the face and point to sharp your features. 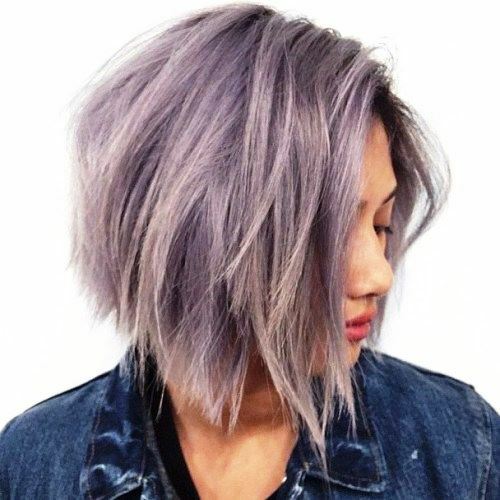 In addition, choose a fun color dye to rock the styling charts. Wispy layers are amazing on Medium Shag Hairstyles as they communicate a casual and carefree vibe. To achieve a more enhanced and pronounced look, straighten your hair with a flat iron or straightener. This haircut is best worn tousled, flowy, and loose for an enviously noticed style statement. If you have naturally sleek hair, then try some swept-back layers this season. This haircut brings volume and fullness to the back and sides of the crown. The addition of subtle highlights takes your look to a step further. 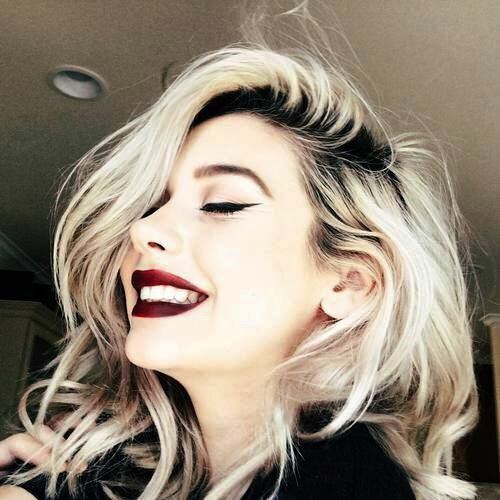 Whether you are a working woman or a college student, this hairdo together with a matching makeup is all ready to turn the audience’ heads towards you. With a Medium Shag Haircut, you don’t need to abandon a traditional and classic style. These haircuts make the old, classic images even more elegant. Always use an iron with a large barrel to have a great room to experiment with styling possibilities. So definitely, with this Medium Shag Hairstyle, hair becomes more bouncy, versatile, and easier to style. This hairdo is a modernized version of late 90’s traditional Medium Shag Haircut. A nicely cropped shag will for sure turn many heads. To add an interesting twist, ask your stylist to create some long wavy curls throughout the length. So, you can easily style it with a straightener. The rock scene has a great impact on the hair styling trends these days. No doubt, it’s a daring hairdo to provide too much intense layers with very short length on the front side. However, it pays off by taking the style scene in your community club by a storm. Remember, while wearing a Medium Shag Haircut along with rocky bangs, the final finishing touch means everything. Women with free spirit nature will definitely fall in love with this grungy haircut with blonde highlights. 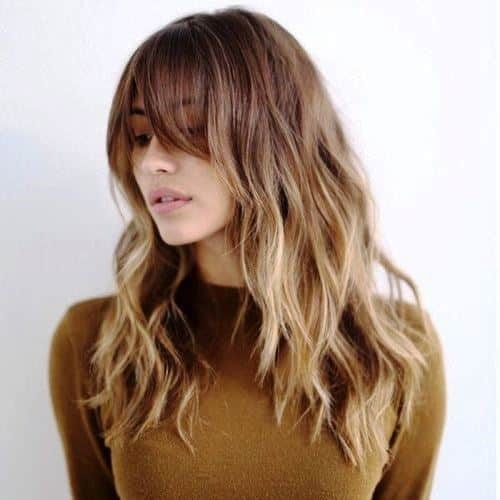 Chopping your hair till the medium length and adding a few Boho tribal flicks is no doubt an excellent method to try something unique. This Medium Shag Haircut will create a fun look in no time. Thus, blonde highlights create a feminine and soft look which cannot go unnoticed in a gathering. This retro look is all set to shake the style scenes. To achieve a mod style, hair length is kept long from the back and chopped from the sides. If you love this 60’s woman look, then try this modern vintage version along with a trendy sunset inspired color. In conclusion, this vintage Medium Shag Haircut is an absolutely stunning option if you love to wear your hair in a ponytail. The Medium Shag Hairstyles have been on the top of the style charts for decades. Jennifer Aniston, Meg Ryan, and many other Hollywood beauties have made this look popular. 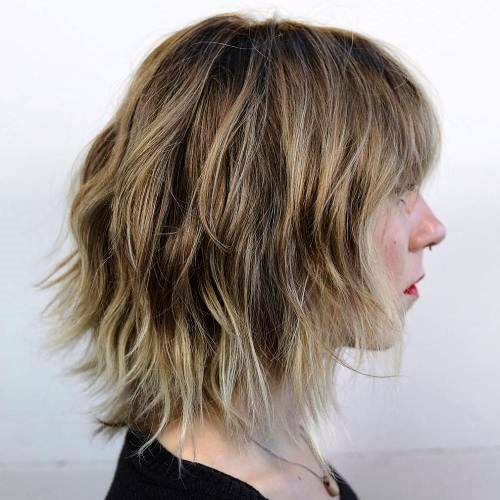 The subtle ombre shaggy cut, a modern version of traditional shaggy style consists of messy layers. So undoubtedly, an ombre color dye creates a cool, effortlessly hairdo. The Parisian shag for thin hair is one of the most popular Medium Shag Hairstyles for a good reason. This hairdo creates an unbelievably chic, messy wavy look which is perfect for many formal and informal events. Whether you have a job interview, a cocktail party, or a first date, this cut will never disappoint you. Medium Shag Haircut, what is trendier than this these days? Not only female celebrities, but also every woman who wants a trendy and modern look can choose a shaggy cut. There is a stunning potential that this style possesses. 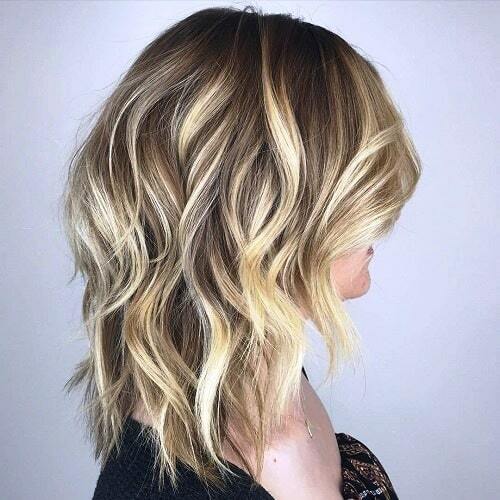 The best part of such haircuts is that they are easy to style and provide a great room to play with layers, lengths, and colors. Moreover, one can wear it with very minimal accessories and look flawless.